I love making journals and scrapbooks. 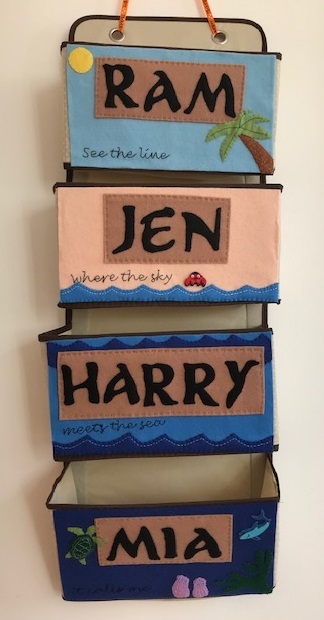 I have made them for holidays and for the children. 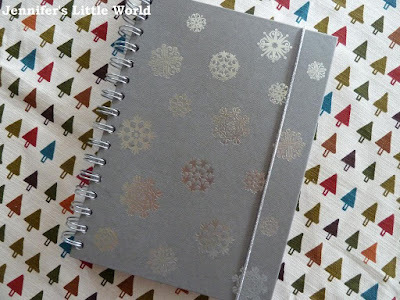 Last year I thought that it would be a lovely idea to put together a Christmas journal which could be kept with the Christmas decorations and brought out each year. I imagine it being brought out and pored over by our growing family as we remember Christmases past. 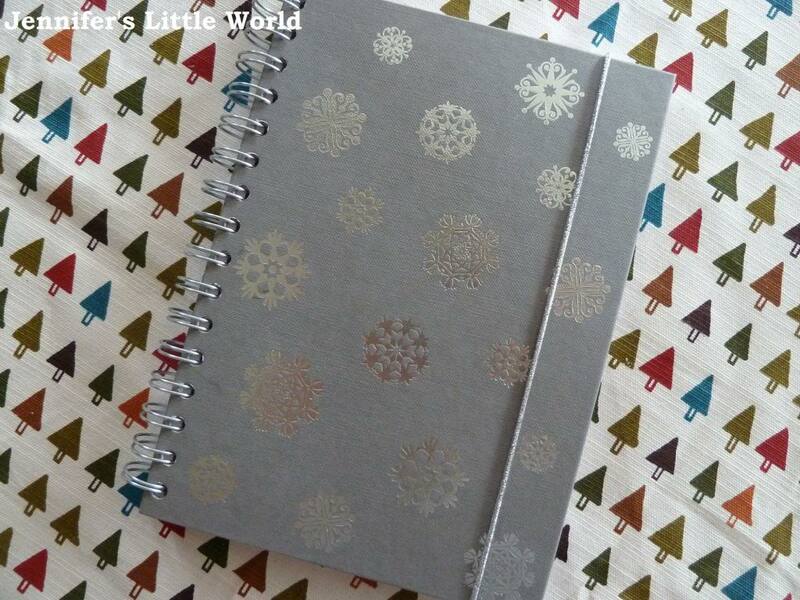 I found this lovely notebook in Ikea towards the end of last year, and as a bonus it was in the sale! It is spiral bound, which I always prefer for my scrapbooks as then you can stick things in and remove pages if it becomes too bulky. It also has a nice elastic cord to hold it shut. I don't want to go too over the top with it, I want it to be a flavour of our Christmas. As the children grow I hope that they will contribute with some seasonal pictures, or perhaps poems and stories. It would be lovely if they could add in their own thoughts and memories. I will also leave some space for photographs to be added as we have them printed. I have included a list of the presents received by the children. I've also written a couple of paragraphs about what we did in the build-up to Christmas, and a few lines about how we spent our Christmas Day. I've noted down any traditions, for example in 2012 we made our first gingerbread house and the children had new pajamas on Christmas Eve. I found a picture from a magazine of the big present that we bought for my son, and I've stuck in a few other bits of ephemera that I wanted to save, for example the first gift tag that my son wrote for his sister. Television forms an important part of Christmas in this household, so I've added in the Christmas Day pages from the television guide as well as information about a couple of special programmes which were on for the first time in 2012 and I expect to be repeated in years to come. We did some decorating over the Christmas period, so I've put in some swatches of the paint colours that we used. It's a lovely little collection of memories made up from things that were happening over the Christmas period in our house, and it will be added to each year! 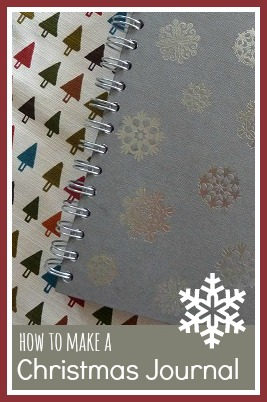 They are great notebooks, I love spiral bound notebooks because you can stick things in and remove pages if they get too thick! 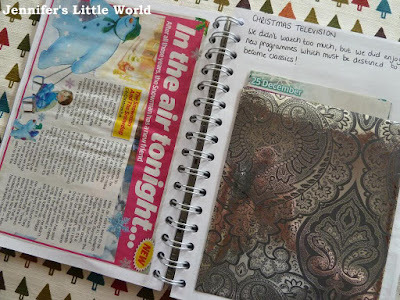 I like the sound of painting and drawing notebooks to take about with you too, I need to start that! I love this idea. It is like a condensed Christmas all in one place, and I suspect reviewing it will really help you get into the festive spirit. I'm very tempted to give it ago for last year and then add to it this Christmas.